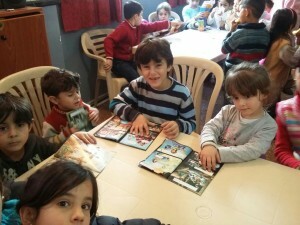 Children enjoy their Bible workbooks at a previous Christmas event. Most Christians remaining in Iraq are displaced: In about a month I will be travelling to Jordan and Iraq to oversee the relief efforts of the Religious Freedom Coalition including expansion of the Christmas for Refugee program. Since the second Gulf War, over two-thirds of the Christians in Iraq have fled Islamic persecution. Sadly, many of those fled to Syria because under Assad it was a tolerant place for Christians. Those that remain are for the most part classified as “Internally Displaced Persons” or IDP’s. The official designation from the United Nations means that IDP’s are literally refugees in their own nation. At the present time the highest concentration of IDP’s are now in the Kurdish region of Iraq which borders Turkey. I will fly to Erbil and visit several sites where our sister ministry is operating, including Sawra Village. The Arabic word Sawra translates to ‘hope.” The village is a major project of the ACERO (Assyrian Church of the East Relief Organization). Aid to the thousands of families there comes from various organizations including the Religious Freedom Coalition, as well as Barnabas Fund and Catholic Relief Services (CRS). Most of the families at Sawra Village came from Mosul or Christian villages nearby to it. The city of Mosul was overrun by the Islamic State (ISIL) in 2014. Currently all of that area is still controlled by the Islamic State. While in Sawra Village I will work with local leaders to plan for one or more of our Christmas dinner programs for the children. Christmas dinner events are also planned for other camps, and inside Erbil itself. This will be a major expansion of our Christmas for Refugees program which now operates in Lebanon and Jordan. In advance of my visit, our ministry partners there are preparing to hold dinner events for Christian refugee children that will provide them not only a hot meal and food to take home for their families, but spiritual encouragement and fun activities as well. The children will also be given children’s Bibles and Bible work books. The younger children will receive Bible themed coloring books and crayons. At a temporary church building in Sawra Village, children from age six to twelve will be served a hot meal and be presented a Gospel themed puppet show, with singing, stories and games to play. Each child’s family will receive a package of basic foods valued at $50 that should last them about a week. A similar event will be held at a church hall in the city of Erbil for the same age group. It is my hope and prayer that we will be able to serve a total of 600 children and their families during this trip. The budget was set at $36,000, or about $60 per child including the food package for each family. The events planned in September in Erbil and at Sawra Village are “practice runs,” helping us prepare for the much larger Christmas for Refugees program. 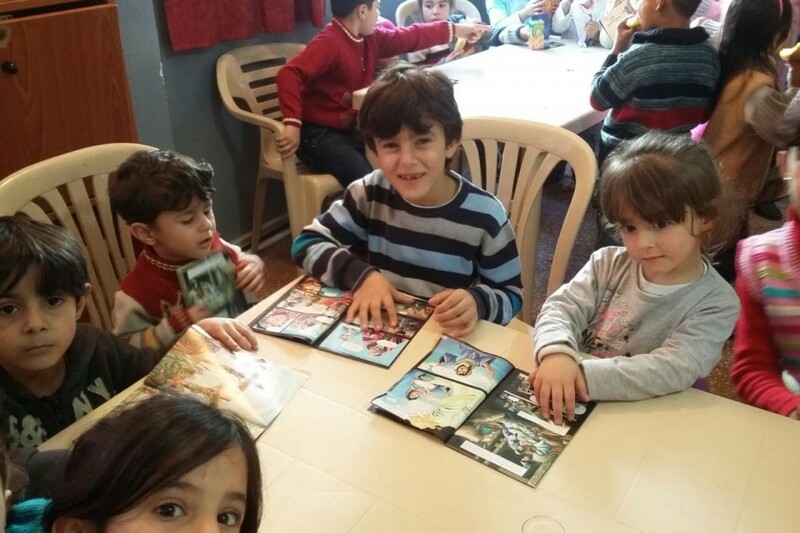 In December it is my prayer that we will be able to hold between 10 and 15 separate Christmas dinner events for Christian refugee children in Erbil and Sawra Village, serving 2,000 children and their families. These Christmas events are about much more that food — they are about the celebration of hope through the coming of our Savior, Jesus Christ. More than anything else, your prayers are needed for the safety of the children and the success of our program to bring hope to them. Please help if you can! As of August 25th the mission to Iraq was still underfunded by $11,000. Please donate today to help refugee children have a real Christmas.